One week before, I have no idea how to swim. I know I sound stupid, but when all my friends swim happily in the pool, all I do was walking in it. I don’t even know how to float. I love the rain, I love fountains and waterfalls, but I can't face deep water. When I go to the ocean I'm stunned by its beauty and can stay there for hours listening to the roaring waves, but in the back of my mind I have a lingering fear of the depths of its waters. I like to think I do a good job hiding this fear. 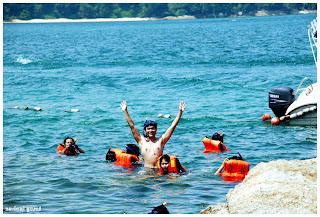 While I was at Pangkor, I was so afraid to get in the water. I don’t even plan to get inside the water. 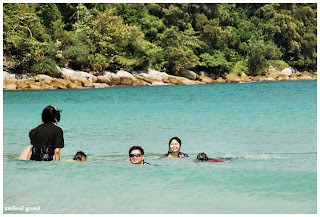 When our so-called tourist guide took us to Pangkor Island, I was stunned. It’s so beautiful; I can’t even wait to jump into the sea. 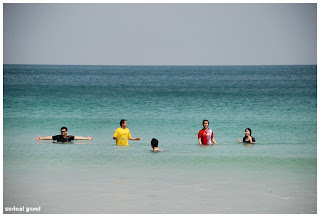 And then Aimi and Sabrina taught me how to float. It wasn’t so hard. Haha! I even went snorkeling! At first I just sat on the large rock, watching over our stuffs. But later when I saw how excited it was, I just can’t wait to join them. I kept holding on to Maja during the first 10 minutes, just to build up the confident. I didn’t know anything about anything at that point, so I went and snorkeled in fairly shallow water with chunks of coral, and lots of fishes. I was afraid of the fishes, Sabrina was bitten by them while she was feeding them with biscuits. When I get back from Pangkor, I’ve been spending my evening swimming at the swimming pool in front of my house. Little by little, I’ve learn how to swim. 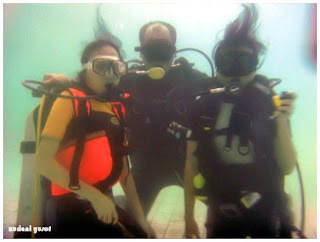 And yesterday, I went to scuba diving lesson at Shah Alam. I went there with Yunni and my friend, Mike. He paid for everything! Very-very generous of him! I was really nervous when the instructor told me that the swimming pool is 6 meter deep. Or was if 4 meter? I kept whispering to Mike, “I don’t know whether I can do this. I don’t even know how to swim Mike!”, and he said everything going to be just fine. He was telling me the truth, everything was A ok! 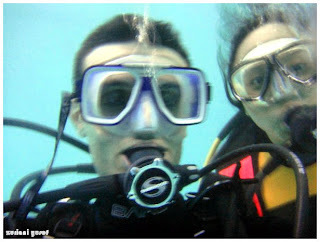 I was excited to see how I could do in the water with scuba gear. 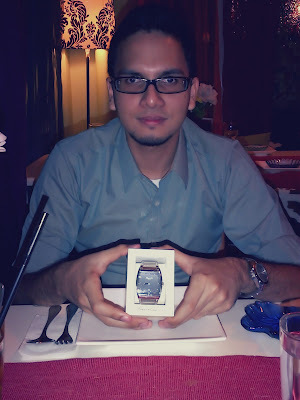 I did well! 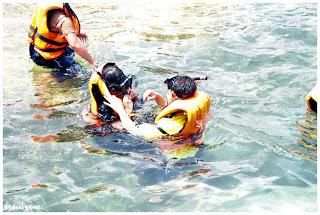 First, Mr. Bahaman and helped me put on the scuba gear. Next, he told me how to go underwater and move around. There was nothing scary about my lesson. The important thing you have to do when you are under the water is to control your breathing, and breathe with your mouth (obviously). If you manage to do that, then you are ready to go to scuba diving lessons. Since I’ve attended the Discovery Scuba, I am now allowed to dive 12 meter under the sea. I want to swim with the sharks! Hooyeaah! bila pulak scuba diving pakai life jacket =____="
tapi serious trauma gila bila terpijak landak laut , it takes days before duri dia tu nak tercabut sendiri.